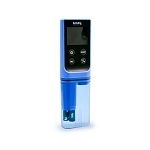 The CircuPool SJ15 saltwater chlorine generator balances advanced technology with simple worry-free operation. 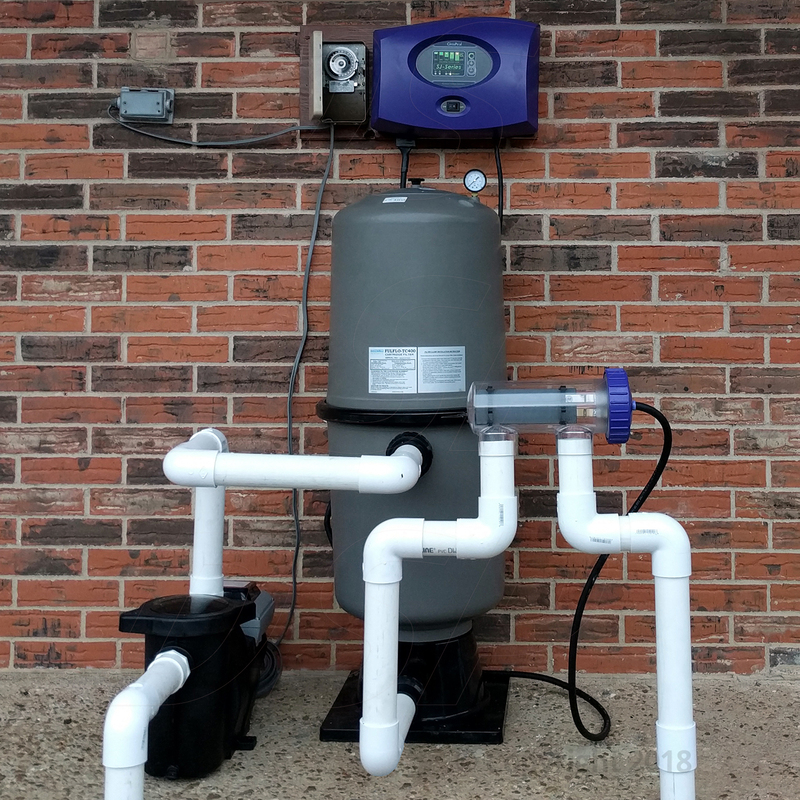 The SJ Series works with existing pump and filtration systems to reliably supply the swimming pool with pure chlorine, every day. 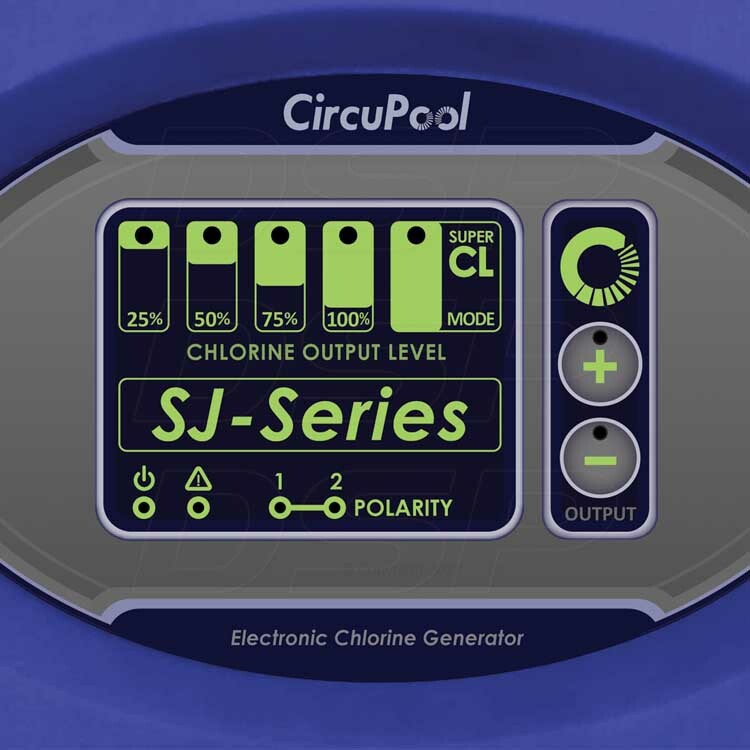 The CircuPool SJ Series uses a low salt level and makes the pool water silky soft to provide the ultimate swimming experience. Looks well built, and the way it works makes it easy to know whether its working or not. However, part of my wishes I got the one with a screen like my neighbor has. Was this answer helpful? 10 of 13 Customer(s) found this Answer helpful. Q: my pool is 12 x 24 with 5 foot depth what size do i need ? Was this answer helpful? 6 of 13 Customer(s) found this Answer helpful. Q: How much salt do you need to use to start the salt system? A: You'll start off by adding roughly 30 lbs of salt per 1000 gallons. 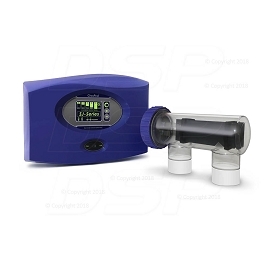 Q: What size is the pipe, and how and where does the module attach to give the readings? Q: will this salt cell replace a Clearwater LM2 with no pvc changes ? A: While the cell shape is very similar, it is not a perfectly exact match to Zodiac cells. It is usually pretty straightforward process to make the upgrade, and we are also here for support to try and make things as easy as possible. There is often little to no wait when you call: 866-766-5243 (option 2 for support). 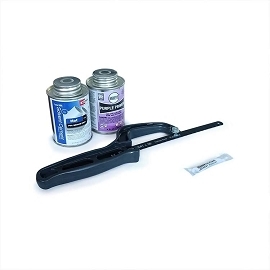 Q: I have a waterway pump system will this work with it? A: Waterway makes a range of pumps, but as is the case with most other salt chlorinators it is made to work with the existing pump & filter system. 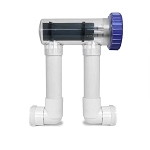 If you happen to have an above-ground Waterway pump which uses hoses for plumbing, the best tip for you might be to just get some standard plumbing unions from the hardware store that will let you to connect your hoses to the inlet/outlet ports of the salt chlorinator (which are meant to have PVC pipe glued into them), and you would also want to make sure you secure the cell so it is oriented horizontally when you plumb it in. Q: I have a small (6000 gallon) fiberglass pool, located in Florida. Is there such a thing as too much when it comes to the size of the chlorinator? For example, will I hurt anything if I choose a SJ-20 versus a SJ-15? A: Over-sizing is actually usually recommended. 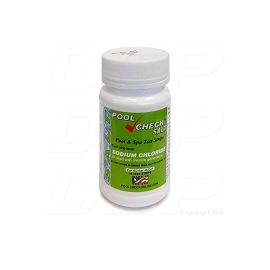 You can turn the system up and down on its controls (and by adjusting how long it runs) so you don't over-chlorinate or under-chlorinate your pool. A larger system just means the equipment last longer because it works less hard every day, plus you'll have more sanitation power should you need it after a storm or pool party, for example. Q: Will this work for a 40000 gallon in ground pool? A: That's a big pool, so at 40,000 gallons, you would want to get the SJ55, or even the RJ60 model. 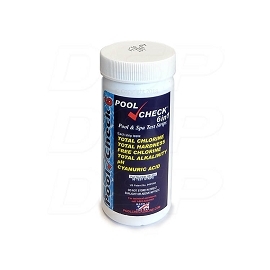 You always want a system that has plenty of extra power, so you can run your equipment less normally, and so you will be able to have extra cleaning power when you need it during pool problems. 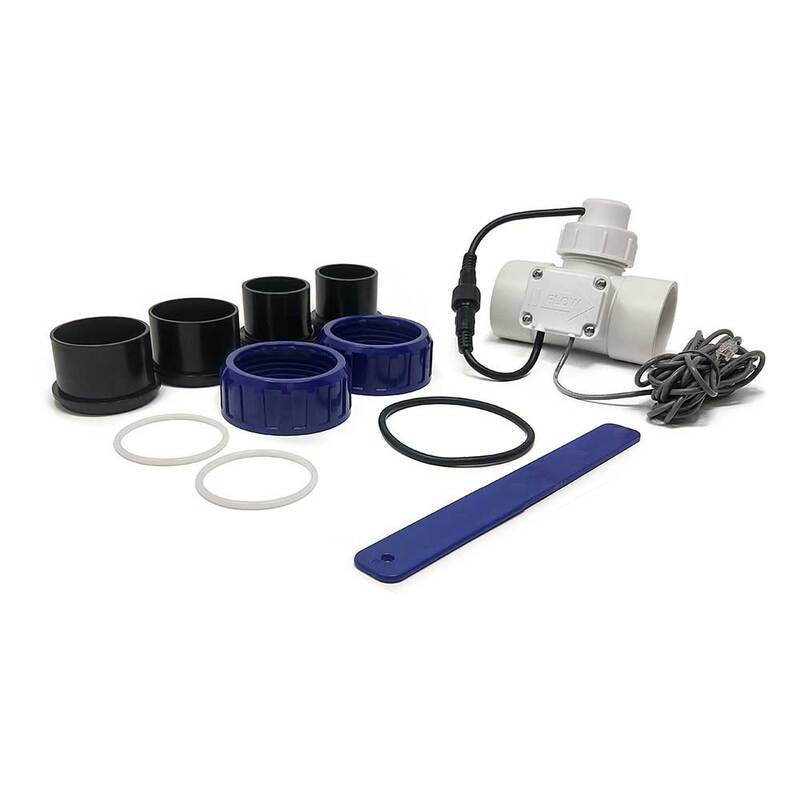 A: Mitch, give us a call (866-766-5243) so we can help you with the details, but the CircuPool SJ models are a popular choice when replacing older Zodiac models. the SJ15 may be a good size if you have a LM3-15 size system, but remember bigger is always better. We'll help you make sure it is sized right.